TRAINER Jedd O’Keeffe is hoping to restore Sam Spinner’s confidence and get his classy staying hurdler back on track in this month’s galliardhomes.com Cleeve Hurdle at Cheltenham. “Sam’s great, he’s back cantering, all seems good,” said O’Keeffe. “Obviously we’re going to do some schooling, and then we’ve got to assess where we are with him. “People are saying it wasn’t the first time they’d seen it. It was the first time I’d seen a horse react like that. Fergal O’Brien is to give Poetic Rhythm a break to try to regain lost confidence after an uninspiring start to his chase career. 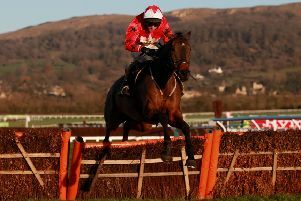 Winner of the Grade One Challow Hurdle last season, Poetic Rhythm has not appeared to adapt well to fences this term.